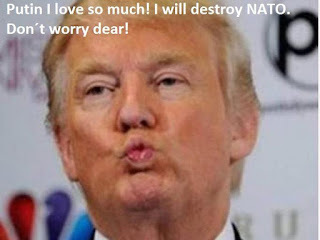 Recently Donald Trump showed that he is not with NATO agreement. Even he threated with step out from the agreement. Besides Trump said that europeans country do not give enought money, some persons considers that is because Trump listen to Putin´s orders. Recently Donald Tusk reminded to American president who are their truly friends.